The Pata Yamaha Official WorldSBK Team are looking forward to returning to action at round eleven of the 2017 FIM Superbike World Championship in Magny-Cours, France this weekend following a successful one-day test after the last round in Portugal. Alex Lowes is determined to bounce back at the Pirelli French Round after a challenging weekend in Portimao, despite not being at 100% fitness. His teammate Michael van der Mark is ready to get back to racing after a weekend in the public eye at Aragon, hoping to build on the form that saw him score his maiden Yamaha podium last time out in Portugal. The weather always seems to play a part at Magny-Cours and last year was no exception. In a wet Race 1, British rider Lowes finished in 11th after having to pit to change tyres in the drying conditions and then crossed the line in 19th in Race 2 after crashing and valiantly re-joining. 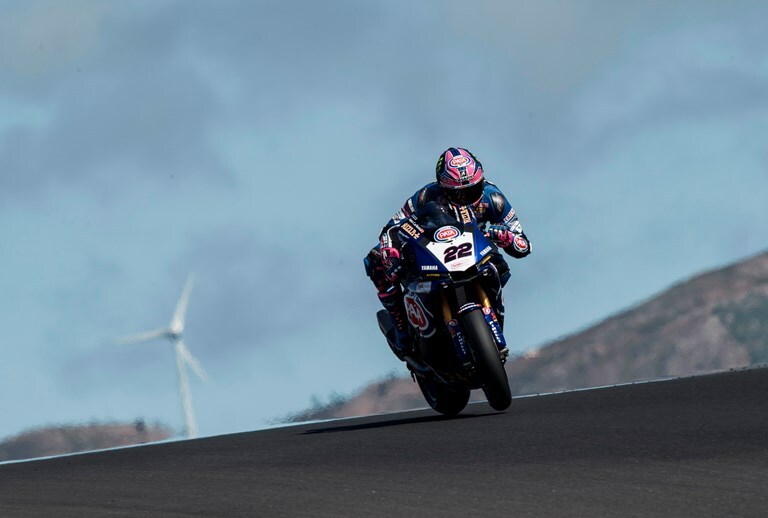 Lowes hopes that the conditions will be better this time around but will be ready for anything in France, although he has still not fully recovered from his huge highside in Race 2 at the last round in Portimao. The 27-year-old miraculously escaped any major injury, but is still feeling battered and bruised, and managed to complete almost 50 laps in Monday’s official test at Portimao. Despite the discomfort, Lowes (169 points) is determined to return to the form that has seen him on the podium twice in 2017, at Donington and Misano, as he battles to secure fifth overall in the championship standings with three races remaining. His teammate van der Mark has an excellent record at Magny-Cours, standing on the podium in 2016 and never finishing outside of the top five at the circuit in WorldSBK. His past form at the track, plus a successful test on Monday in Portimao, bodes well for the 24-year-old to continue his excellent run of results that saw him finish the two races at Portimao in fifth and second respectively, recording his first Yamaha podium in the process. The Dutch rider is looking forward to getting back to racing in WorldSBK after spending the weekend in the media spotlight at the Aragon GP as the replacement rider for Movistar Yamaha MotoGP’s Valentino Rossi, with van der Mark not called into action in the end. He is currently sixth in the WorldSBK Championship standings with 166 points, just three points behind his teammate Lowes and ten points ahead of Xavi Forés in seventh. The Circuit de Nevers Magny-Cours is located in central France, 250km south of Paris. The track was originally built back in 1960 but has been revamped a number of times, most recently in 2003. It is 4.411km long, consists of 17 corners – nine right and eight left-handed – and has a start/finish straight of just 250m. Most of the corners are modelled on famous turns from other tracks, with the corners bearing the track names that inspired them, and it comprises of a mix of slow, technical hairpins and high-speed chicanes, with hardly any elevation changes. The Pata Yamaha WorldSBK Official Team will take to the track on Friday morning at 9:45 am local time for Free Practice 1, with Saturday’s qualifying starting at 10:30 am and Race 1 at 13:00 pm, while Sunday’s Race 2 is also scheduled for 13:00 pm.